You have probably heard of the math foil system... now you need to really learn what it is and how to use it. FOIL is an acronym that stands for First Outside Inside Last. These four words remind you of the four terms that you must multiply together in order to expand a binomial multiplied by a binomial. 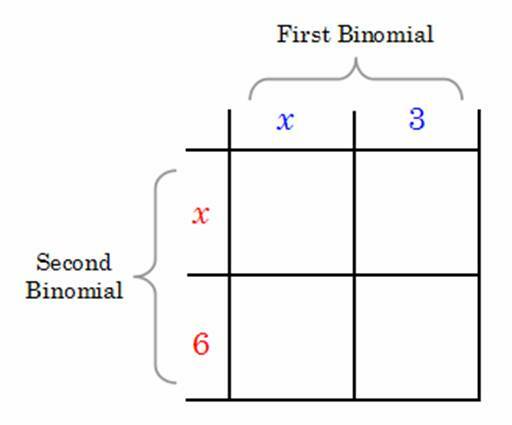 In most cases your result is a trinomial, but special circumstances will cause the result to be another binomial as well. 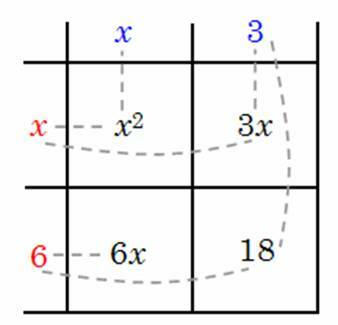 This means that FOIL helps us to expand (x + 3)•(x + 6) into x2 + 9x + 18. Now, multiply each corresponding row and column, then match the cells! 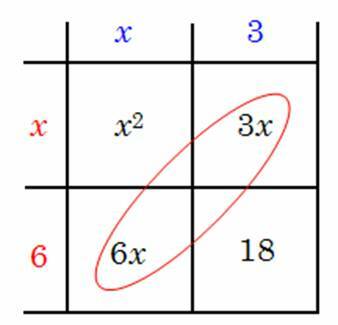 You can now combine to x2 + 9x + 18 just like we did before! Hopefully this method will make it easier for you to foil. It gives you a more concrete understanding of the math foil system. Explore other free algebra topics or return to the GradeA homepage.